In the default Ambience theme, there's often no visual indication of which widget in an application has focus. 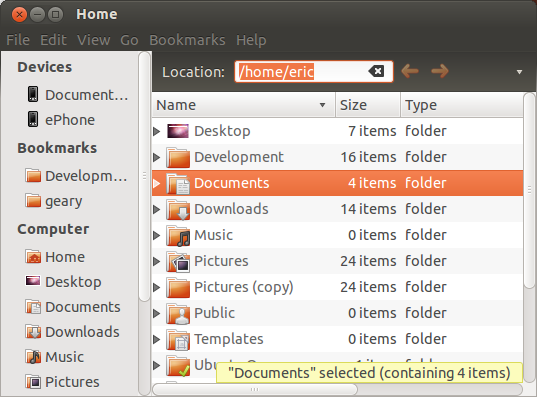 For example, in the attached screenshot I highlighted both the location bar and a specific file in Nautilus -- obviously the location bar and file list can't both have focus, but both highlighted items appear in the same shade of orange. This is particularly cumbersome for people who navigate with the keyboard. To change the source package that this bug is filed about visit https://bugs.launchpad.net/ubuntu/+bug/1014901/+editstatus and add the package name in the text box next to the word Package.